The ability for PoE devices to operate normally during extended periods of off-grid run times will be imperative for security pros who participate in campus environments. 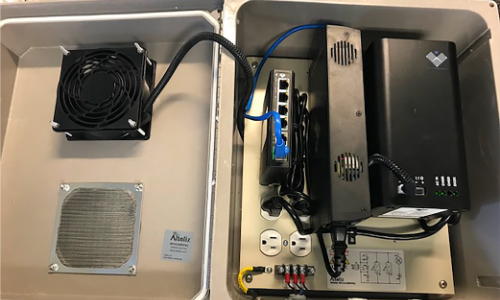 BTU Research delivers continuous PoE local to Axis Communications’ license plate recognition cameras, Siklu radios, Code Blue emergency call boxes, wireless application protocals (WAPs) and the fan shown inside the enclosure above. The introduction of a disruptive technology known as continuous PoE has dramatically expanded the ability for power engineers to design inherently redundant power for Ethernet-level devices. 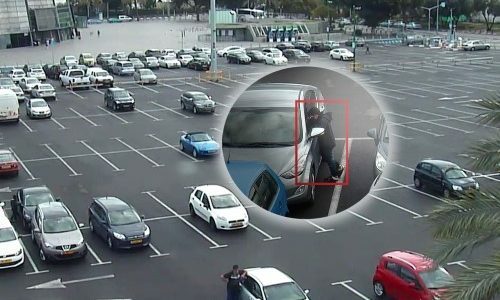 Once cost prohibitive, constant and redundant video surveillance is now affordable and efficient. This article provides an overview of an Internet of Things (IoT) world made stable and robust by virtue of recent developments in uninterruptible power over Ethernet to edge devices and sophisticated battery technology. The age-old proverb above describes a situation in which a failure to anticipate or correct some initially small measure results in an egregious outcome. No one ever lamented, upon seeing his unshod horse, that the kingdom would eventually fall because of it. Such chains of causality are visible only in hindsight. They need not be, as relates to the very predictable nature of unstable power. Power interruptions and outages are not unlike the weather. Sure enough, you’re going to have some. Traditional design considerations for primary and secondary power at the head-end do not directly address edge devices — the equivalent of a horseshoe lost. Switching from utility grid power to stationary power, such as generators and/or massive lead acid battery banks, is neither glitch-free nor seamless. The transfer of power from source to source results in sufficient interruption in power to take IP devices off-line. Perhaps they will come back on-line when the power transfer is complete, perhaps not. Best case scenario: cameras, radios, wireless access points, emergency call boxes are off-line temporarily. This is an entirely avoidable event with a potentially egregious outcome. All video streams look the same when the cameras are off-line. Global wholesale distributors of security, life-safety and communications products are fully focused on the exploding Internet of City Things (IoCT). 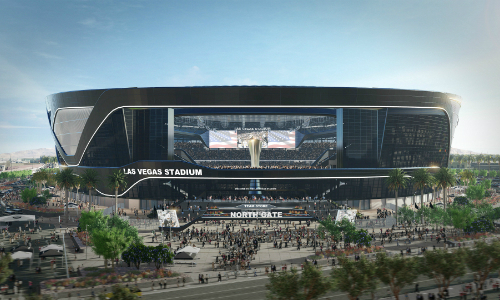 Seminar topics are concentric around “vertical real estate.” Light Poles serve as a delivery point for wireless access points, LED lighting, security, monitoring, public safety communication and media forums. Sidewalk furniture plays host to edge devices including speakers, lighting, LAN connections and much more. Smart City and Safe City initiatives represent a disproportionate amount of electronic security revenues. Informed systems integrators are effectively establishing that an absence of continuous PoE local to critical devices is neither smart nor safe. Select uninterruptable power over Ethernet supply models are IP addressable and enabled to receive automatic firmware updates, and they are available with full Layer 3 PoE network switch attributes. An advanced graphic user interface (GUI) is kept current, the switch with built-in PoE UPS is never off-line. IoT devices may be power-cycled remotely via the GUI. With the BTU SolidSwitch Command Post and battery management system, run-times can be remotely managed to extend off-grid power to Mission Critical devices by shutting down those that may not be considered mission critical. It has become paramount that the security, life-safety and communications spaces plan, prepare and conform to the global migration to the omnipresent Ethernet as a common power platform. The National Fire Protection Association (NFPA) is among industry organizations and stakeholders that have decided to “not do nothing” about the threat students face each day in schools across the United States. Efforts are current and active to change language that relates to life safety for all. 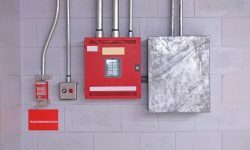 Heretofore, the fire alarm control panel (FACP) was the only public building system designed, installed, commissioned, maintained and routinely inspected. A system so important to life safety that it required to have its own dedicated, secondary power source local to the FACP. State-licensed officials conduct frequent tests to insure these systems operate normally in the absence of A/C power. These Authorities Having Jurisdiction (AHJ) are empowered to vacate and evacuate any building within their jurisdiction that is deemed to be non-compliant with local, state or county codes. Imminent releases of life-safety language will be published in a manner that includes, “Powered Devices” (PD) and “Power Sourcing Equipment” (PSE). Examples of PDs may include, IP cameras, access control and FACP devices. 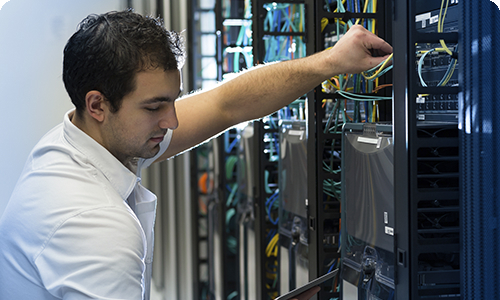 Examples of PSEs may include PoE network switches, NVRs and PoE injectors. 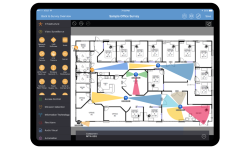 Cameras, VoIP, door controllers, microphones, speakers and remote view capability all serve the same essential role in life safety as the FACP. Perhaps more so as the number of school violence incidents dwarfs the number of school fires. The former is accelerating, the latter is not. A student has not perished in a school fire in more than 65 years, largely because the FACP is always powered. It’s that important. Moving forward, the ability for PoE devices to operate normally during extended periods of off-grid run times will be imperative for those who participate in education and “safer buildings” spaces. This will be most simply and efficiently achieved with continuous PoE technology. There are currently more than 5.6 million commercial buildings in the U.S. Power source equipment (PSE) with onboard PoE UPS devices will serve as a catalyst for the life safety space to migrate from lead acid battery to lithium ion technology. During the development of this article, an unexpected trend in power conservation was discovered by early adopters of continuous PoE technology, primarily within the education and theme parks industries. Proof of concepts were established with unconditional money back guarantees from BTU Research, manufacturer of the “Uninterruptable Power Over Ethernet Supply,” a technology the company says ensures a reliable and consistent power connection through a switching mechanism to an internal battery source. The technology has resulted in broad deployments across theme parks, according to the company. Following the shooting massacre at a country music festival in Las Vegas in 2017 there has been a renewed focus on security at theme parks and other vulnerable soft targets. This is evidenced by the fact that perimeter security hardening/expansion projects for most theme parks are funded by the Department of Homeland Security (DHS). Prior to installing BTU products, A/C power was present at parking lot poles, continuously. No secondary power was available local to poles. Upon installing BTU, electricity need not be present until dark at which time A/C power is needed for lighting. The same A/C power then recharges BTU’s lithium ion power packs at night. During daylight hours, the A/C power is discontinued. BTU Research delivers continuous PoE local to Axis Communications’ license plate recognition cameras, Siklu radios, Code Blue emergency call boxes, wireless application protocals (WAPs) and the fan shown inside the enclosure in the image at the top of this article. The result: significant reduction in utility power cost to the end user. Perimeter security may also be expanded without the need for disruptive, costly trenching. Lithium ion power packs are often recharged using alternative energy solutions such as solar and wind. The same products are currently specified by global defense contractors for insuring the continuous operation of radar security technology (ex: Magos Systems) and anti-drone systems with unique no-fly features (ex: Convexum) — systems and operations that must not be jeopardized by something so widely anticipated as periods of unstable power conditions. Continuous PoE allows users in such facilities as airports to login to a user interface and battery management system. Run times can be remotely managed to extend off-grid power to mission critical devices by shutting down those that may not be considered mission critical. BTU’s user interface allows access to a full complement of Layer 3 feature sets along with a sophisticated battery management system. On the home page, users instantly see aggregate wattage consumption per port, speeds of traffic through each port, names of powered devices connected to each port, the number of batteries installed, current charge capacity of each and their active state. From this screen, the device may be placed in storage mode, putting the power packs into hibernation. 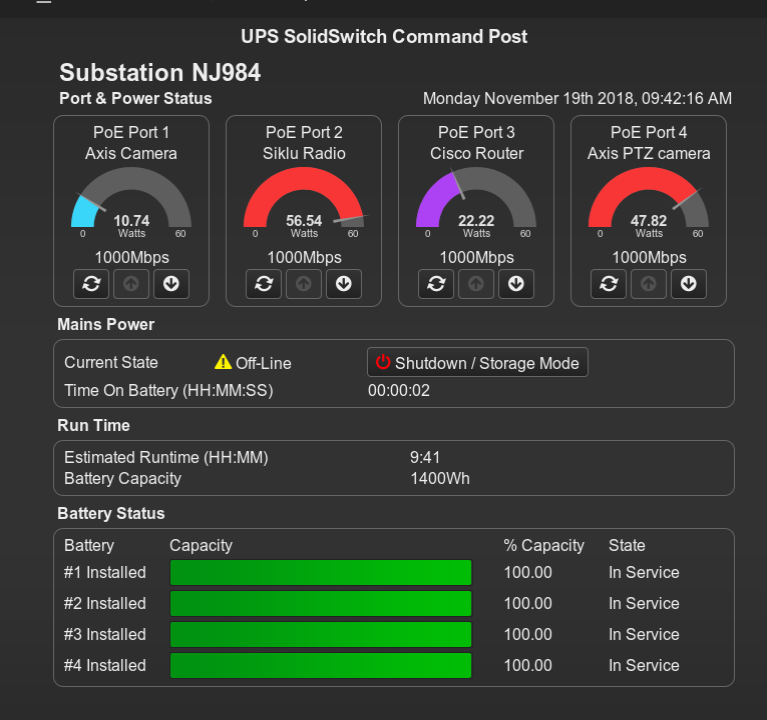 Discharge profile, remaining battery based on the current configuration, time stamp of power interruptions and record of devices that were powered from the user interface during outages are all standard feature sets. How much opportunity exists to deploy this technology at airports? There are over 1,200 commercial airports in the world that are seemingly unaware that continuous PoE is available. The rapid deployment of emergency communications made possible by virtue of a portable, mobile, compact source of continuous PoE technology has been adopted by many first responders. The technology is made available for purchase via the InterAgency Board (IAB) for Emergency Preparedness and Response Authorized Equipment List (AEL) and Standardized Equipment List (SEL). Distributed recipient mass notification systems (DRMNS) play an essential role in a comprehensive emergency operations procedure (EOP). Manufacturers of paging speakers, microphones, radios, transmitters and VoIP products have moved to Ethernet as the preferred power platform. Legacy UPS suppliers continue to manufacture lead acid-based, A/C to D/C switching products. You can learn more about the challenges and opportunities posed by increased connectivity and automation in the workplace, in the electric grid and in smart cities by viewing the IoT webinars presented by the National Electrical Manufacturers Association (NEMA). NEMA’s IoTNOW webinars include practical guidance on how to develop a systems-based approach to energy efficiency in buildings and how a modernized electric grid can save consumers money. A power design specifically to insure the constant operation of all things IoT is now simple and cost-effective to achieve with PoE devices that are impervious to power interruptions and outages. Curtis Nance is Vice President of Sales and Business Development at BTU Research.